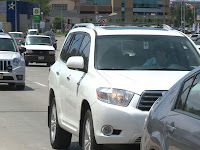 Vehicle traffic in most places, including the Omaha metro area picks up when the temperature rises. Vacations, more daylight and other factors put more people on the road. With or without the traffic, summer heat is sometimes described as stifling. There might be some truth to that. Recently, companies like Coca-Cola, Pepsi, and Heinz ketchup have determined that plastic made from plants, not oil, makes sense both for the environment and for business. The growing demand has meant a boom in the bioplastic industry and could mean changes to the plastic bottle as we know it. 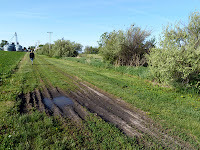 On a bright spring morning in eastern Butler County, John Quinn and the college students working with him for the summer are walking farm ground counting birds. About half of Nebraska's farms include livestock and that industry accounts for about half of farm income. But with livestock comes potential environmental and natural resource issues like climate and water that require attention and regulation.